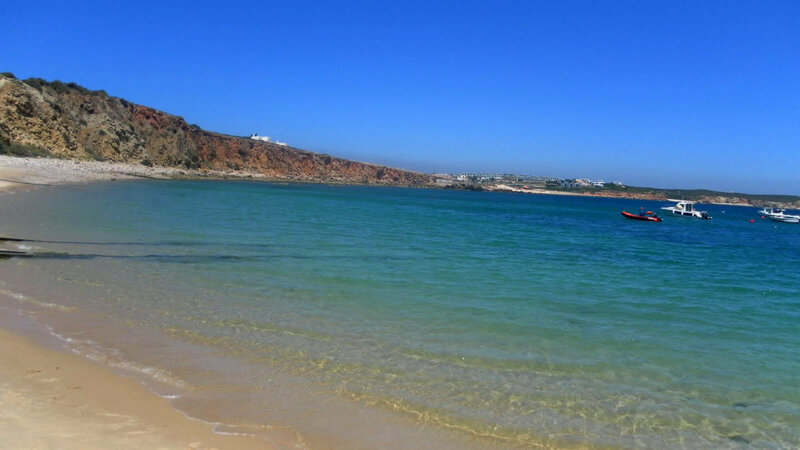 Praia da Baleeira is a small beach in Sagres located right next to the fishing harbour. To get an idea of the beach and the surroundings, watch the short video below. 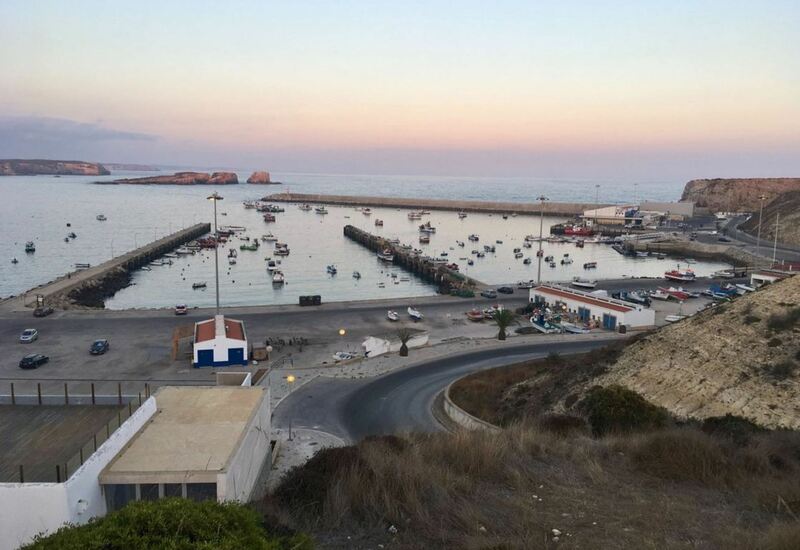 Praia da Baleeira is located next to the fishing harbour of Sagres. The beach overlooks the harbour and the bay of Sagres. The location next to the harbour makes the water not so clear as on other beaches nearby, because there is pollution from boat traffic to some extent. While you are on the beach, you will see many boats go in and out of the harbour. Other than that, the beach is relatively peaceful. 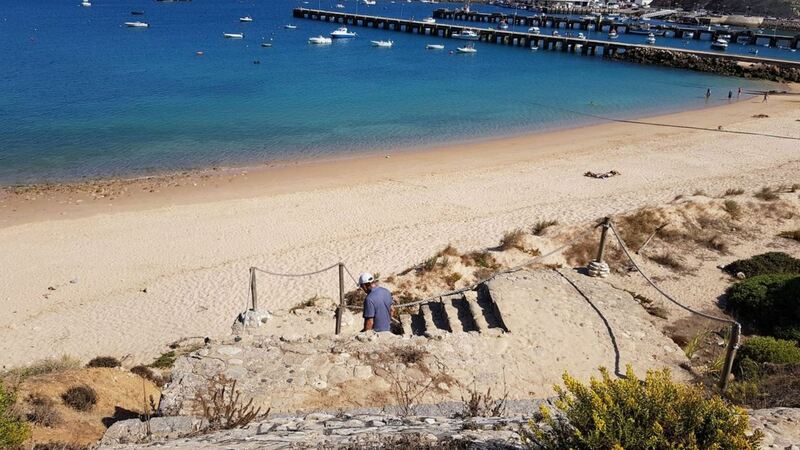 If you stay near the village of Sagres, this beach might be a nice way to spend your day. The area on the left side of the beach is less pleasant, due to the presence of small rocks. There are less rocks on the rest of the beach, although you will occasionally still find rocks between the sand. This makes the sand on this beach not the finest of the Algarve. The beach is quite sheltered, but it can get quite windy sometimes. On windy days, Praia da Baleeira is not the best beach for sunbathing. People that do want to enjoy the sun usually prefer other beaches nearby. For example, Praia do Martinhal is not very far (a 15 minute walk) and is in many ways a better beach. There is a restaurant right behind the harbour, called A Tasca. The restaurant overlooks the harbour and specializes in Portuguese seafood. The setting of the restaurant is lovely, the food is good and the service is nice. The best hotel in the neighbourhood is the Memmo Baleeira Design Hotel. 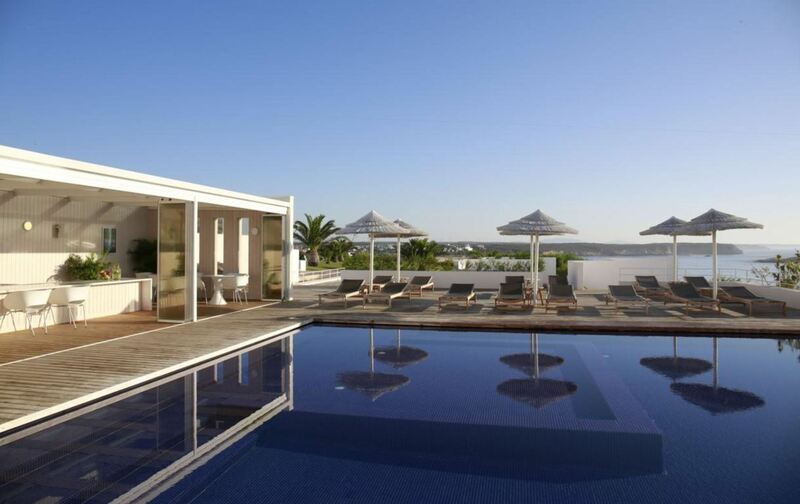 This 4 star hotel has an outdoor swimming pool with a great view over the Atlantic Ocean. Rooms have either sea view or a garden view. If you prefer to relax, there is a spa, sauna and Turkish bath in the hotel. Basically, it has everything you need. 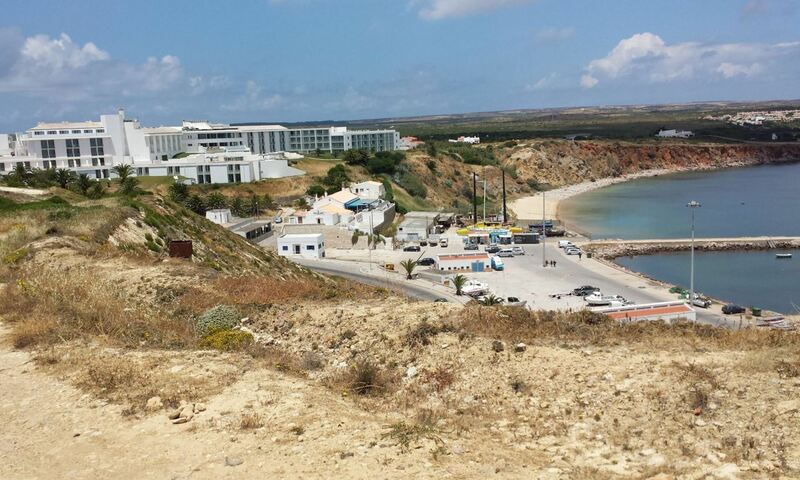 The Memmo Baleeira hotel is highly rated and is one of the best hotels in Sagres. The fishing port itself is worth a visit. It is not that big, but nice to walk around after lunch or dinner. The harbour has a nice view, overlooking the colourful fishing boats and the Atlantic Ocean. You will see plenty of fishing boats coming and going, and you can see the arrival of the catch of the day. You can also go inside the harbour building. 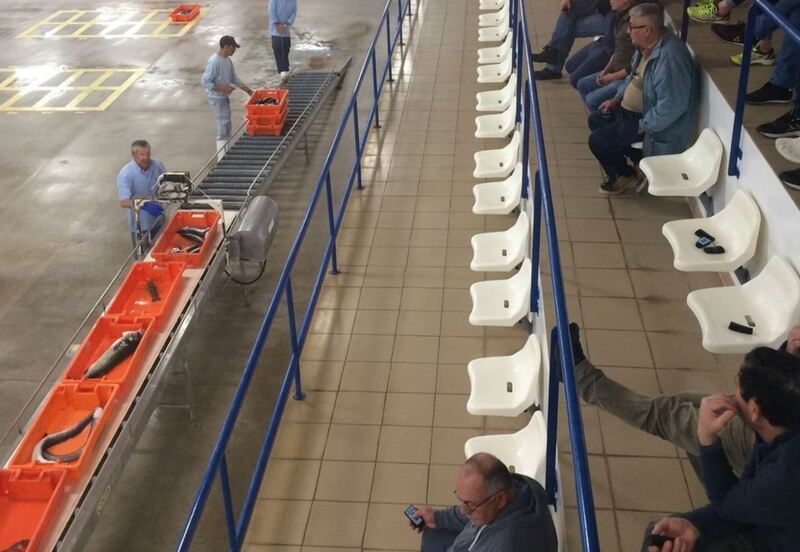 There is a fish auction inside, which is very interesting to see. 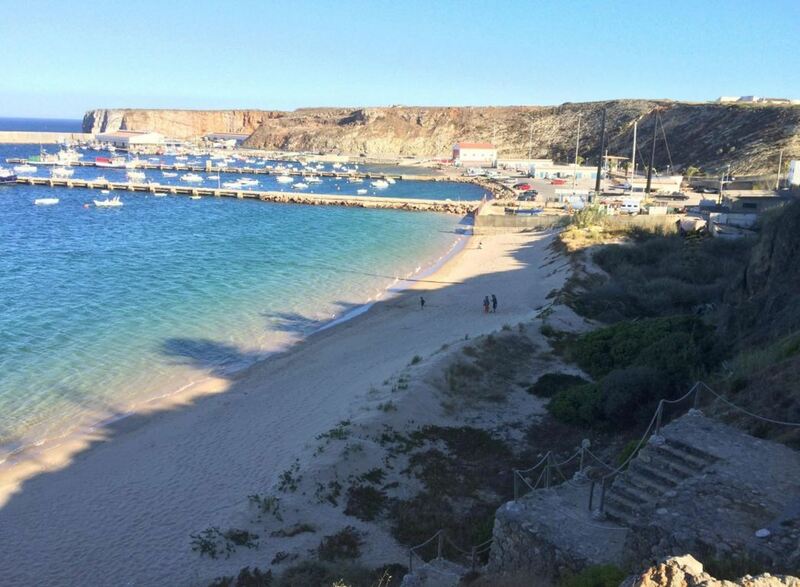 When you are near the harbour of Sagres, the beach can be found on the left side of the harbour. You can get there by crossing the harbour. 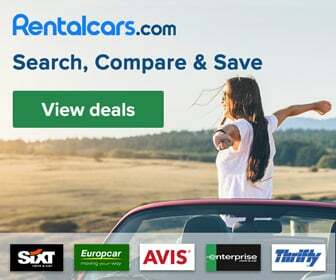 If you want to drive there, you can enter the following address in your GPS: Rua da Pedra Negra, 8650-362 Sagres, Portugal. 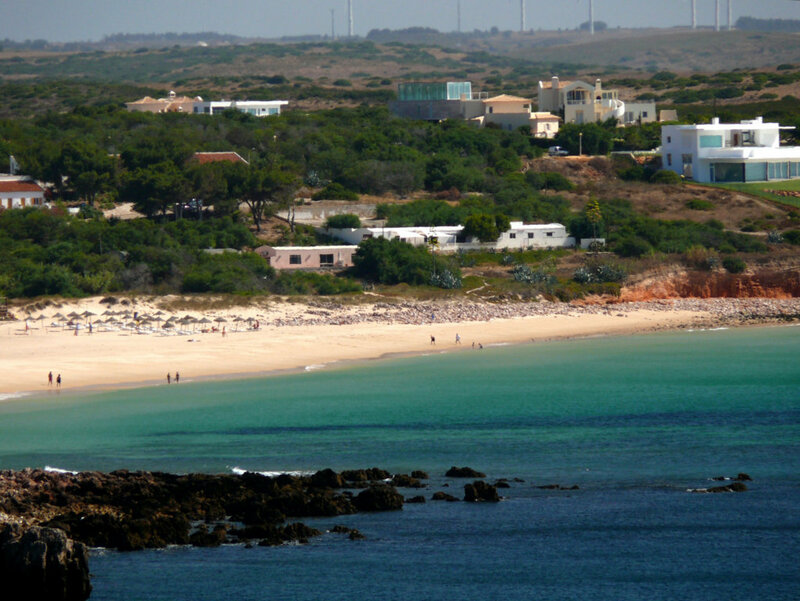 The beach is also within walking distance from the centre of Sagres. It is about a 15 minute walk. 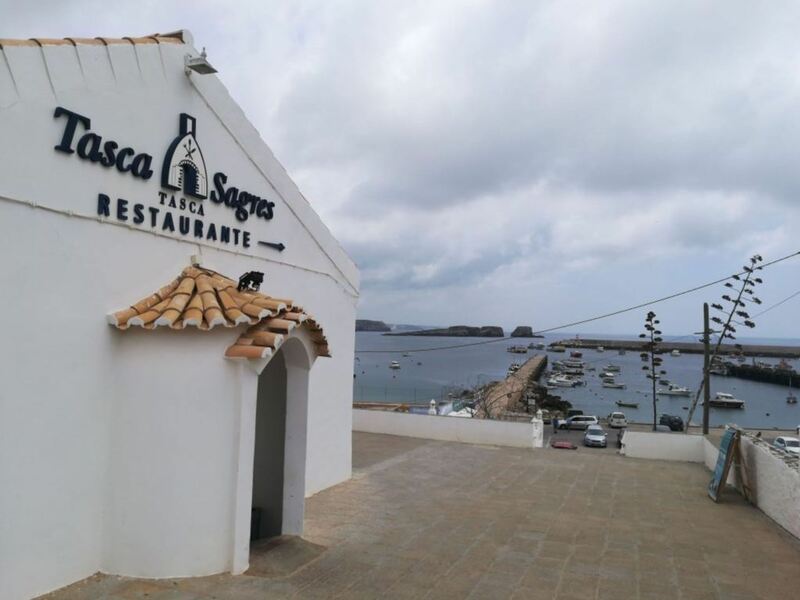 Sagres is one of the most amazing places in the Algarve. However, there is much more to see in the region. For example, the westcoast of the Algarve is very diverse and has many unspoiled beaches. You could book a tour to go there with a guide, which is highly recommended. Below you can see our favourite tours in the area. Since the beach is near the fishing harbour, there are several restaurants nearby. You can try delicious fresh fresh, or some other local gastronomy. Other than that, there are not as many facilities on the beach as on other beaches in the Algarve. For example, there are no lifeguards or sunbeds. The beach is also not accessible by wheelchair.